Another day down at CES 2019 and another system gaining support for Apple’s HomeKit. Gardena has announced that it is about to offer support for HomeKit as part of its existing Smart System technology. When we think of intelligent automation technology, we tend to think of intelligent thermostats, light bulbs, sockets, and switches that exist within the home. 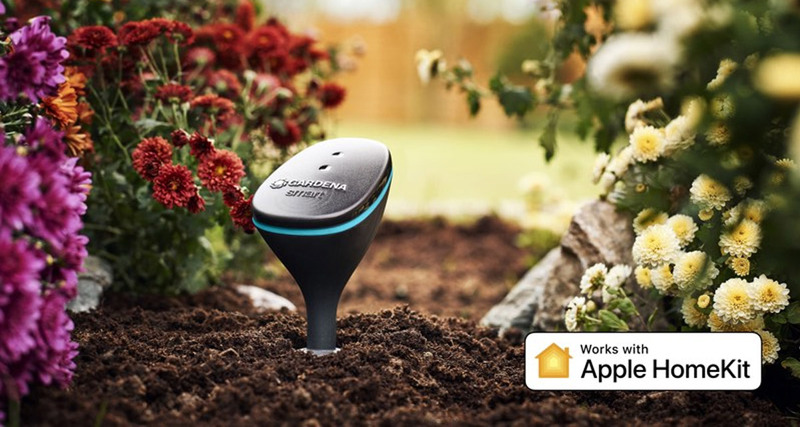 However, it’s also worth being acutely aware that this type of tech can be applied to almost everything, which is exactly what Gardena has done with its Smart System that comprises of a number of different smaller products that exist to allow gardeners and horticulturalists to keep an eye on almost everything that is going on in their gardens. Garden has been offering these products since 2016, consisting of its Smart Water Control, Smart Irrigation Control, Smart Power, and Smart Sensor. Now, with the incoming Apple HomeKit support, owners of those products and systems will be able to control the hardware directly from within the Apple Home app on iPhone, iPad, and Mac, as well as being able to use Siri voice control to be able to give immediate audible commands. Currently, a certain level of intelligence and control is allowed via the dedicated Gardena app. This update will expand that control into Apple’s ecosystem and allow homeowners to bring the Gardena equipment into one central location along with other HomeKit hardware that they may also own, such as the aforementioned bulbs, thermostats, and switches. In addition to bringing the Gardena equipment into the native Apple Home app, the HomeKit update will also mean that the Gardena equipment will be able to integrate with other hardware for a more robust and versatile home automation experience. So, an example would be having Gardena moisture sensors that trigger a HomeKit-enabled Scene or interact with other hardware once a certain level of moisture is detected. Rather than having to purchase new equipment and raise the expense, Gardena is bringing the HomeKit compatibility directly to existing hardware via a software update. This will be delivered by the end of quarter one 2019. For those who want to know more about Gardena and its Smart System, the information is available on the company’s website.